THIS COMPILATION OF ARTICLES FROM THE AMERICAN INTELLIGENCE MEDIA IS PRESENTED TO FIRST-TIER ALTERNATIVE MEDIA DISSIMENATORS WHO ARE ASKED TO REVIEW THIS CITIZEN INTELLIGENCE REPORT AND THEN CREATE NARRATIVES, ARTICLES, VIDEOS, TWEETS TO YOUR AUDIENCE SO THAT WE CAN EDUCATE AS MANY FOLKS AS POSSIBLE ABOUT GEOENGINEERING, CHEMTRAILS, AND WEAPONIZED WEATHER. WE CALL THIS SYSTEM INFORMATION RAPID DEPLOYMENT WHERE EACH INDEPENDENT HUB CREATES MESSAGING TO ITS AUDIENCE TO ASK ITS AUDIENCE ALSO TO SPREAD THE WORD. IF YOU ARE NEW TO THIS PROCESS, THEN PLEASE JOIN IN AND EDUCATE YOUR CONSTITUENCY, NO MATTER HOW LARGE OR SMALL YOUR NETWORK. THIS IS HOW WE HAVE BEEN DOMINATING TRUTH DISSEMINATION TO WE THE PEOPLE LONG BEFORE THE 2016 ELECTION. HA! AND THEY KEEP POINTING TO THE RUSSIANS. THANKS TO OUR COLLEAGUES AT STATE OF THE NATION, THE MILLENNIUM REPORT, COSMIC CONVERGENCE AND CHEMTRAILS MUST STOP FOR THEIR VIGILANT WATCH OVER THE SKIES FOR MANY YEARS…WHILE MANY OF US WERE STILL FAST ASLEEP. September 5, 2017: The ultimate goal in this regard is to expose those decision-makers at the very top of global governance who have ordered this extremely deleterious worldwide policy and implementation plan. We recently saw on the Internet where the Marriott Hotel rooms are being decorated with artwork with skies that have chemtrails in them. Please understand that such an artistic rendition of the sky is tantamount to a photo of the smokestacks at coal-fired power plants which emit all kinds of foul pollutants. January 19, 2016: The biosphere has been altered in profound and fundamental ways by the perpetual spraying of noxious chemtrails throughout the atmosphere. As the global environment undergoes unprecedented destruction, the ecosystems of the world are sustaining irreparable damage. The longer these misguided geoengineering programs continue, the more difficult it will be to remediate the awesome devastation that is occurring imperceptibly around the globe. December 27, 2015: The current global regime of chemical engineering has been intensified considerably over the past 3 years since 2012. Since January of 2015, chemtrail operations have been conducted with extraordinary zeal. Geoengineering the skies across the USA — 24/7 — has profoundly altered the local weather patterns and normal climate trends nationwide. 2015 has seen a substantial uptick in chemtrailing operations everywhere, as the sun rays are blocked and mold counts have increased dramatically. The most significant consequence of this constant chemcloud cover and acceleration of the hydrological cycle is the exacerbation of climate change. The deliberate implementation of this worldwide climate engineering agenda via coal ash containing chemtrail aerosols* has greatly contributed to every facet of Global Climate Change. August 29, 2015: Let it be known that the Environmental Protection Agency (EPA) has profoundly violated both the Clean Air Act of 1963 And the Clean Water Act of 1972. These blatant transgressions of U.S. federal law have been occurring since the illegal and clandestine chemical geoengineering programs have been implemented. Also known as Operation Indigo Skyfold, these surreptitious chemtrail operations have been deliberately misrepresented to the American people as the normal emissions of aircraft condensation trails. August 29, 2015: North America is now suffering its seventh year of conspicuous and dangerous aerosol and electromagnetic operations conducted by the U.S. government under the guise of national security. Concerned citizens watch in fear as military tankers discolor the skies with toxic chemicals that morph into synthetic clouds. 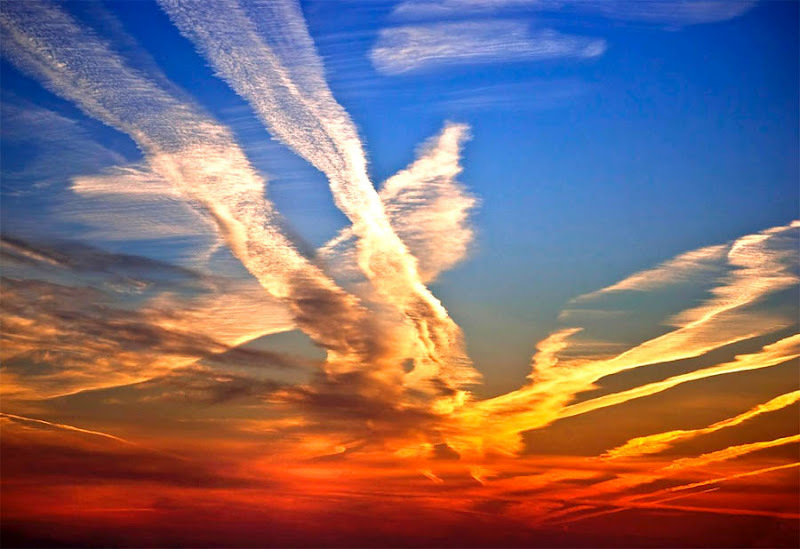 August 22, 2015: The widespread, intentional and increasingly frequent chemical emplacement in the troposphere has gone unidentified and unremarked in the scientific literature for years. The author presents evidence that toxic coal combustion fly ash is the most likely aerosolized particulate sprayed by tanker-jets for geoengineering, weather-modification and climate-modification purposes and describes some of the multifold consequences on public health. August 19, 2015: By all appearances the U.S. Environmental Protection Agency (EPA) has been closely collaborating with the nationwide, covert chemical geoengineering programs for decades. These clandestine military-run chemtrail operations are responsible for the massive and incessant spraying of highly toxic chemical aerosols into the troposphere and stratosphere. The EPA is the regulatory agency responsible for enforcing the Clean Air Act (enacted in December 17, 1963) since it was formed by the Nixon Administration in 1970. August 16, 2015: These clandestine chemtrail operations are ostensibly carried out in the interest of ‘combating’ global climate change, and referred to as stratospheric engineering for the purpose of solar radiation management. However, there is now much scientific evidence and high-integrity testimony that suggests an even more hidden and quite nefarious agenda. If you are reading this open letter, you now understand what the vast majority of humanity is completely unaware of. Even though these extremely harmful geoengineering technologies have been utilized in broad daylight for many years, most people are still unfamiliar with them. Despite what is occurring right above their heads, populations everywhere are too preoccupied with survival to take notice, or even care about, the exceedingly harmful effects of chemical geoengineering. July 3, 2015: Given that California serves as the major agricultural producer for the nation, it does not get any more serious than a drought of this severity, particularly one so unremitting. Simply put, this manmade disaster is shaping up to be the Catastrophe of the Millennium. That may sound like hyperbole until one considers what is truly at stake. April 12, 2015: California is the eighth largest economy in the world. Its agricultural industry produces a massive amount of food for the USA as well as the world-at-large. The IT Industry of Silicon Valley alone contributes a significant amount to the state GDP. Likewise, the Military-Industrial Complex owns and operates major enterprises across the entire state of California as does the Motion Picture Industry. When considered in the aggregate, these sectors of the state economy also make up a substantial portion of the U.S. GNP. Therefore, it is very easy to see how putting a HUGE dent in the California economy would affect millions of people and many communities, as well as numerous corporations and companies operating both in-state and nationwide. March 5, 2015: For more than a decade, first the United States and then Canada’s citizens have been subjected to a 24/7/365 day aerosol assault over our heads made of a toxic brew of poisonous heavy metals, chemicals, and other dangerous ingredients. None of this was reported by any mainstream media. The US Department of Defense [DOD] and military have been systematically blanketing all our skies with what are known as Chemtrails (also known as Stratospheric Aerosol Geoengineering). (2) These differ vastly from the usual plane contrails that evaporate rather quickly in the sky. Chemtrails do not dissipate. Rather, planes (fitted with special nozzles) release aerosols “lines” in the sky that do not evaporate. February 4, 2015: Finally, a military pilot steps forward and completely blows the lid off the unlawful and exceedingly destructive Global Chemtrail Program. What follows is a video which puts forth a true story about a courageous pilot who has broken ranks with his chemtrailing peers. In so doing he has risked his life and the life of his family. As you listen to this presentation, or read the text provided below, bear in mind that chemtrails are being sprayed 24/7 around the globe with terrible consequences. July 4, 2014: Just as the geoengineers have been playing doctor with the Earth’s atmosphere, administering invasive interventions at every turn with chemtrail concoctions and HAARP frequencies, the real scientists must formulate a plan of action that substantially addresses the warming trends. Regardless of the nonstop catcalling and denial from the naysayers, the anthropogenic causes of Global Warming must be identified and proven beyond any doubt. March 28, 2014: Self-reinforcing negative feedback loops throughout the global environment particularly pose unprecedented problems and formidable challenges. Were a number of these to coalesce at the wrong time, and in the wrong place, the entire planet could be plunged into a downward spiral of sorts. Such a Perfect Storm of weather events and geophysical cataclysms might then establish new and dangerous trends that would adversely affect the entire biosphere. A convergence and critical mass of ill-timed circumstances, evolving in the wrong direction, could then cascade into a full blown, yet slow motion regional, hemispheric or planetary catastrophe. March 2, 2014: The primary reason for their many endeavors to stop Global Warming, start ‘Global Cooling’ and arrest Global Climate Change is because their command and control of the Earth realm depend upon it. Even though things are not changing quite as rapidly here on Earth as they are on our sister planets, they know the certain trajectories that this planet is currently plotting will eventually translate into a multitude of fundamental and unstoppable changes. TPTB know that these earth changes will irreversibly affect their ascendant position in dominating world affairs. Their only answer to this eventuality is to forestall it at all costs … even if it means triggering an ELE (extinction level event). February 14, 2014: On the contrary, when the geoengineers transport moisture from the GOM (Gulf of Mexico) up to the Arctic as a way of artificially reforming a melted polar ice cap as they have been doing, or contort the Jet Stream southward into the Deep South of the USA to produce unheard of snow storms and ice storm in that region, they profoundly upset the natural processes of atmospheric activity. These meteorological machinations will cause unavoidable blowback. Just as we have seen over the past couple of decades in the form of massive, unrivaled storms of every sort and kind. January 28, 2014: The Federal Government has willfully engaged in a premeditated conspiracy to deceive the public. This conspiracy to both deceive and spray chemicals anywhere the government wishes has been going on for decades. Yet they continue to assert that the chemtrails which many of us have witnessed and experienced are actually contrails. What follows are a few photos, which clearly show how the equipment which produces these aerosols, can start and stop the spraying process. Upon seeing these many chemtrails being laid down in real time, it is obvious to anyone who can see that they are in fact chemtrails … and positively not contrails. Contrails are the normal vapor trails which are left in the wake of a sky borne jet airliner. They appear at the very rear being ejected as the exhaust from the jet airliners, and dissipate quite quickly depending on the ambient atmospheric temperature, pressure and humidity at the time. January 15, 2014: In other words the secret legislation of laws that harm the citizenry of any nation on Earth represents a “gross violation of the public trust” as well as a “flagrant breach of the social contract”. The following excerpt from an advocacy group declaration addressing the very same type of unlawful and injurious behavior well sums up the point. The upshot of this declaration is that the government is by no means above the law. Therefore, it must be held accountable for its criminal actions just as the citizens can be prosecuted for committing chemical assault. January 5, 2014: Likewise, how easy would it be for a nation with decades of experience in modifying the weather and in triggering geophysical events to create the problem of climate change (or exaggerate its significance) to induce the world into approving, even demanding, geoengineering? With decades of patents providing a history of capabilities, could this entire drama, including “extreme weather events” be orchestrated for the simple pursuit of profit? November 4, 2013: We find the current policy of spraying the skies of America, and many other nations around the world, to be an unlawful and flagrant assault against every inhabitant of Planet Earth. September 11, 2013: Planet Earth has been besieged by many and diverse scientific experiments over the past one hundred years. The quantum leap in applied science and technology has “precipitated” a literal explosion of top secret and highly classified operations conducted in the atmosphere, throughout the planetary surface, as well as deep within the Earth’s crust. However, none comes close to the degree of round-the-clock damage inflicted on the biosphere as the DARPA-sponsored program of geo-engineering. 2013: What follows is a fairly exhaustive list of symptoms associated with chemtrail spraying. Each symptom has been identified by various individuals who have clocked their occurrence with the onset of chemtrails being laid down over their homes or businesses. This list has been organized in a descending order, with the most commonly experienced symptoms at the top.